We pride ourselves on our ability to make drinking games that will punish your liver. Most recently, our Home Run Derby Drinking game helped everyone get through the mindless rhetoric that is Chris Berman’s announcing skills. Earlier, we brought you the NFL Draft Day Drinking Game and before that, almost a year ago, was our inaugural Victoria’s Secret Fashion Show Drinking Game (which will be back in a few weeks, shwing). Now we have a real treat for you tonight. 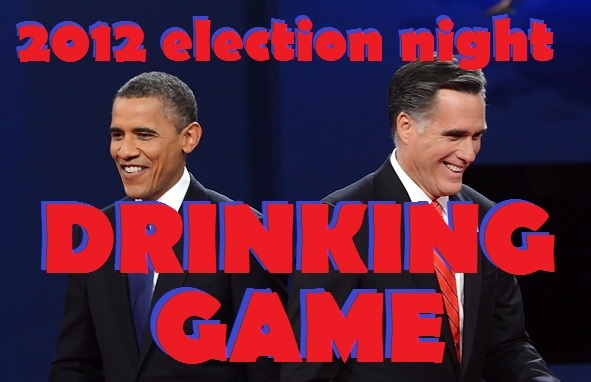 While you watch history unfold with this very close election we want you to sit back, relax and binge drink. That’s right, according to the political ads on television, we are screwed either way so you might as well deliver a rabbit punch to your liver and put yourself out of misery sooner rather than later. The rules are set up by levels. With the first level resulting in 5 seconds worth of chugging and the last level resulting in 15 seconds worth of chugging. There is also a participation level that will require everyone to participate in. Lastly, there is a DEFCON level that we hope you don’t reach. See the rules below! When you hear someone mention Jay-Z, you must scream “Money Ain’t a Thang” before you drink, if person fails to do so they must drink an additional 5 seconds. Anytime someone mentions a swing state or battleground state. When Ohio is mentioned, the first person to yell “Go Bucks” will be allowed to give 5 seconds to one person of their choosing. If Joe Biden is shown laughing, the first person to yell “Mularky” will be allowed to give 5 seconds to the person most resembling Paul Ryan in the room. Laughing in their face is encouraged. If Candy Crowley’s cleavage makes an appearance, drink 5 seconds and pray that image isn’t burned into your brain. If David Axlerod and his sweet moustache are shown, every person in the room with no facial hair, including and excluding women, will take 10 seconds. If Donald Trump is shown, everyone must put something on their head to resemble a wig (hand, shirt, pillow). The last person to do so will be forced to drink 10 seconds. If Hurricane Sandy is mentioned because of the affect on the election, all the females drink 10. If it is mentioned for donation purposes, all the males drink 10. Then someone should really donate $10. If the Electoral College is debated against the popular vote, a vote will be taken on how to drink. Waterfall, Questions, Categories. If Paul Ryan is shown working out, everyone must get down and do 10 push ups, followed by immediately standing up and chugging for 10 seconds. If someone is using a tablet of any kind, have a social drink. If Binders Full of Women is mentioned, the females get to give 15 seconds to any male in the room. It can be divided if they choose to do so. If there is a montage of either candidates debate, drink for either 15 seconds. If Paul Ryan washing clean dishes is shown, the males get to give 15 seconds to any female in the room. It can be divided if they choose to do so. If someone mentions Mark Cuban’s $1 million challenge to Donald Trump. If Ann Romney is shown, a Rhyme-Time game will start with the home owner. Words that rhyme with “Mitt”. Loser drinks 15 seconds. If Tugg, Tank, Tuck, TrapperKeeper or any other Romney sons are shown, anyone wearing argyle print or khaki colored anything must drink 15 seconds. After a candidate wins a swing state, kill your beer. If they mention that Mitt Romney is Morman, someone must go on a “Mission” to the fridge to replenish everyones beers. Kill your beer if they interview a past President. If Mitt Romney wins, kill precisely 47% of your beer. If Barack Obama wins, kill your entire beer. Sasha is 11 years old, Malia is 14 years old. If either is shown, subtract their age from your age and drink the difference. – If there is a tie in the Electoral College and no candidate is declared a winner, all alcohol in the house must be consumed. This is including, but not limited to beer, wine, liquor, rubbing alcohol, hand sanitizers, mouth wash and in some instances, cough syrup. You get the idea. Godspeed if that tally reads 269-269. Good luck to everyone and their candidate on Election Night! As always, we can only hope this game is played in the safety of your own home. Where ever it is played, take pictures and send them to us! 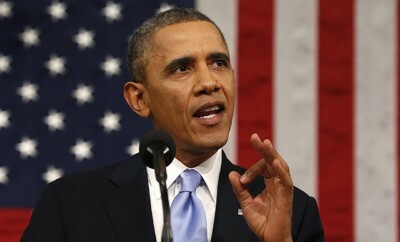 ← Previous Story What Happens if Obama and Romney Split the Electoral Votes?